Blue Stars are big and majestic. A beacon in space for light years around. But their beauty shines indiscriminately upon war and peace, honor and deception, and that twilight world where life hangs by an ethereal thread. Jordahk went through great challenges in Tethered Worlds: Unwelcome Star. He learned more about himself than he ever realized was there. He experienced victory, and loss, but in the end saved the frontier world of his birth. In Blue Star Setting, months have passed since Unwelcome Star’s ‘Egress Incident’ and the long winter of Jordahk’s recovery is coming to an end. Manhood will not wait, nor will the forces roused by his previous victory. The Perigeum is not taking its rebuff at Adams Rush lightly, nor is the Prime Orator, whose personal flagship was damaged. A part of Jordahk just wants to continue working with his parents. 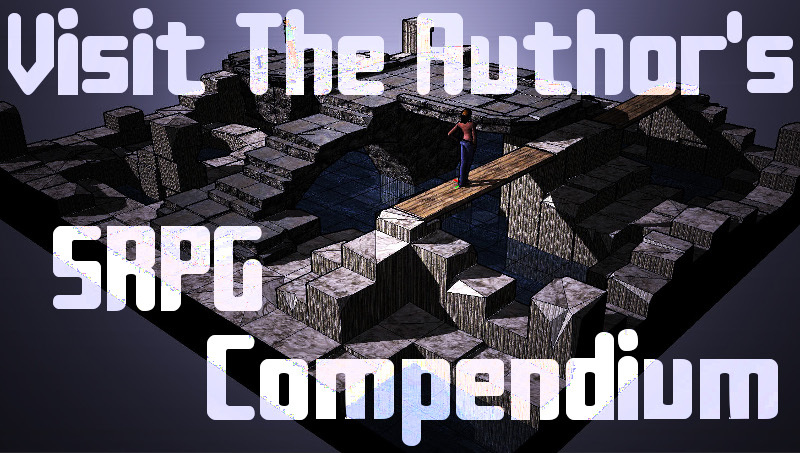 However a new era is dawning among the inhabited worlds. Forces are rising whether Jordahk buries his head in the sand or not. His grandfather Aristahl continues to fight a covert war, having done so for two centuries. The man gave much to worlds that don’t even know his name, and his cause is not going away. Perhaps the need is more acute than ever. Jordahk can never return to who he was. His old hobby of collecting mystic technology relics can never be the same, and he has questions. Questions for the universe, and for the Sojourners. The only way to get answers is to move forward, challenges and all. 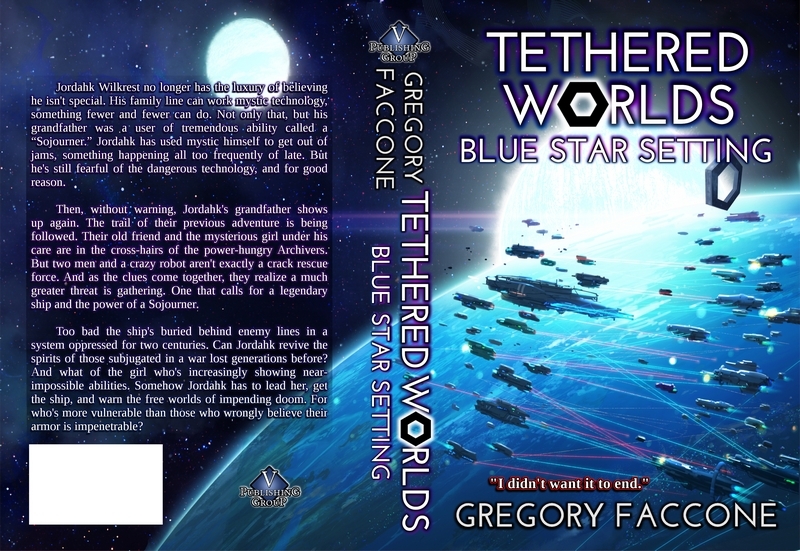 Tethered Worlds: Book II — Blue Star Setting, Available at Amazon. Special: Tethered Worlds: Book I — Unwelcome Star will be on special pricing for a limited time. Get the Kindle edition for $0.99 over Thanksgiving weekend! 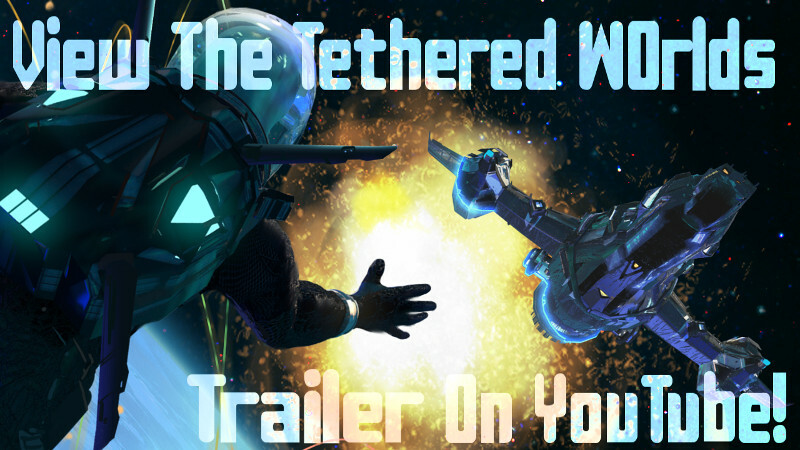 Tethered Worlds is series sure to keep you moving forward. You will face challenges next to Jordahk, and along the way, may just find new reserves of your own. Go on a hero’s journey and never be the same.